My interests are wide and varied. I love my sport including Football, Rugby and Cricket and have played all throughout my life. I have completed two London Marathons which were just awesome experiences, whilst at the same time very painful! Education wise a BA (Hons) degree from Canterbury Christchurch college, before a Year of PE Teacher training in Southampton led to a career spanning 14 years in various schools. I think I have a good sense of humour! I enjoy socialising and just like to be positive and deal with whatever life throws your way! I live in Chalfont St.Giles Buckinghamshire. If you want to know more, sign up and ask! 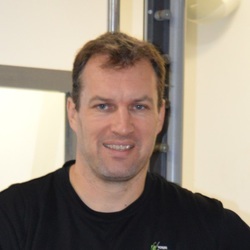 ​I am a highly qualified personal trainer with a Sports Science Degree and 14 years experience as a teacher of Physical Education. 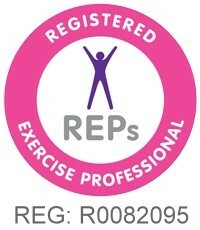 I also hold a Level 3 Diploma in Personal Training. Regardless of your age, your current level of fitness or your goals, I will provide you with a bespoke training programme that will be specifically designed to help you reach your goals. I aim to provide a professional service as trainer who has a sense of humour and a smile to ensure that you get the very best Personal Training , Weight Management or Group Exercise programme. I am also happy to provide a FREE consultation, so you can meet me before you decide on any of my services. The sooner you contact me, the sooner we can start making the change you want.